State programs have been ramping up advertising. Their health campaigns provide crucial messaging to raise awareness and promote preventable care for HIV. Many are including Indoor Advertising in their media mix, an engaging option that efficiently reaches the right audience. The LGBTQ community has the highest HIV transmission rate among any demographic group and is a priority for these programs. The CDC has found gay and bisexual men account for 70% of new HIV infections. Programs focus on steering the community to talk more opening about HIV. One in six gay and bisexual men living with HIV are unaware they have it. Many of the messages encourage prevention education, testing, treatment and directing to available resources. Indoor ads are a straightforward way to put the message directly in front of an audience. Government groups are working with AllOver Media to concentrate on cities, zip codes, and neighborhoods throughout the country. We assist with selecting well-known gay bars and restaurants utilizing indoor advertising and place multiple messages across the venue. 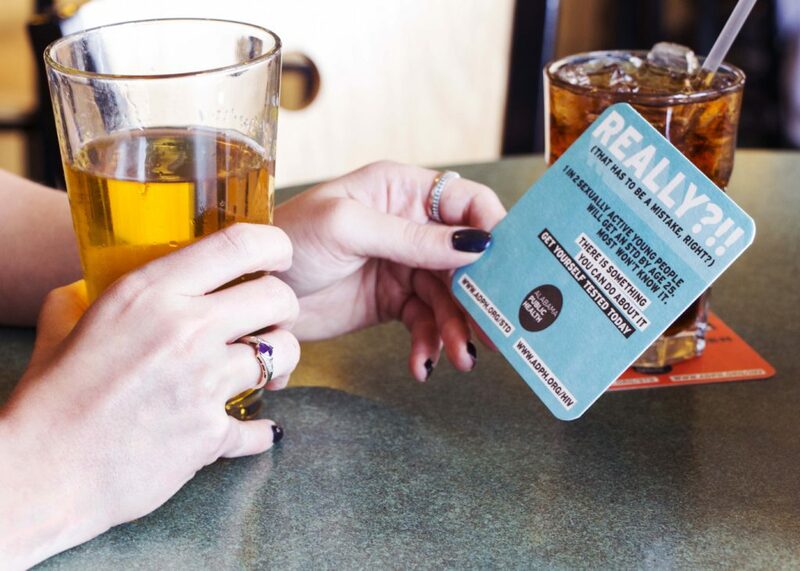 Options include messaging on coasters, table tents at their seat and posters in the restroom. Indoor ads are introduced throughout their experience without being annoying. 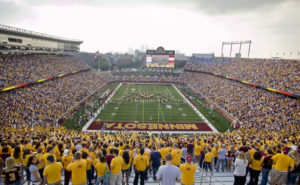 On March 17, a crowd will start a mile away and chant their way to TCF Stadium on the University of Minnesota campus. That Saturday will be the home opener for Major League Soccer team Minnesota United FC kicking off their second year at TCF Stadium. 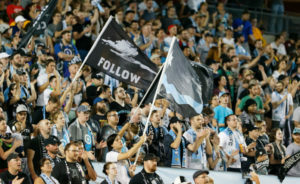 Last year MN United brought in an average of 20,538 supporters per game, totaling 349,138 fans their inaugural season. The stadium will host 17 home games and 1 international friendly (opponent yet to be announced) between March and October. MN United FC draws a unique collection of supporters from all different backgrounds around the Twin Cities. On game day you’ll find the diehard supporters in the Dark Cloud section, corporate outings, families who are experiencing the game for the first time, as well as groups of international fans there to see their favorite players. In addition to the events and concerts TCF Stadium hosts throughout the year, it is primarily the home of the University of Minnesota Golden Gophers Football team. First home game of the season is Aug 30, 2018 and running through the end of November. The Gophers drew 310,506 fans for the 2017 season, averaging an attendance of 44,358 per game. A partnership with AllOver Media allows access to an exclusive advertising space within TCF Stadium, including standard indoor advertising sizes and large format wallscapes. Contact us today to learn about our limited ad packages currently available for the March – December season! We’re excited to help produce and place this Narcos campaign for Netflix across popular clubs and bars in New York, Los Angeles and Miami. With our superb partners – Doner LA, MediaHub and Rapport LA – we formed a team capable of delivering truly innovative executions. The ultimate venue for events in Denver, the Pepsi Center is home to some of the most popular sporting teams in Colorado including the Denver Nuggets, Colorado Avalanche, and Colorado Mammoth. It also plays host to major concerts and events throughout the year, generating a constant stream of entertainment-seekers that are highly valued by brands looking to reach an audience with disposable income. Through our unique partnership AllOver Media is able to place ads in restrooms throughout the venue, including standard indoor advertising sizes and large format wallscapes. If your customer focus is on the nation’s largest living generation, the Millennials, read this blog. Born between 1980 and 2000, millennials are the consumers every advertiser needs to keep a sharp eye on. They’re expected to spend $200 billion in 2017, when the last few members come of age and enjoy increased spending power. Technology is changing everything — including indoor advertising. 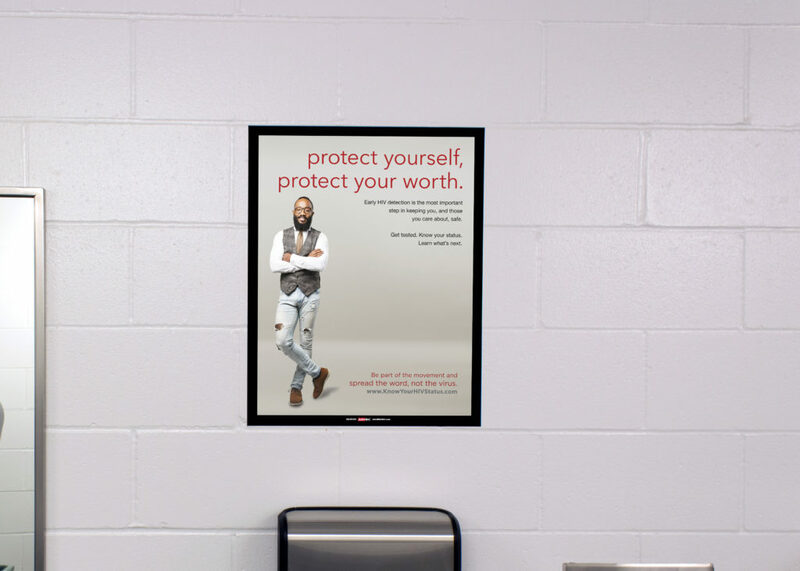 Originally known as restroom advertising, digital indoor ads are the ultimate in captive audience marketing because consumers can’t flip through, change channels, or turn them off. Here are some examples of effective digital indoor advertising to inspire your next campaign. Although some folks call it “non-traditional,” indoor advertising is an extremely targeted, well-received medium, reaching consumers in regularly visited locations such as restaurants, night clubs, sports bars, arenas, and convenience stores. As audiences become more and more splintered — not to mention more and more wary of ads — indoor advertising engages consumers from an uncluttered, eye-level vantage point, making it unavoidable. Here are some of the advantages indoor advertising provides to your brand. Out-of-Home advertising targets audiences where they are most captive. Thanks to advances in technology, OOH Advertising is stepping up to the next level, getting even more specific with demographics, of not only where, but when. Here are some of the key benefits to digital indoor advertising.